Westside Family Medicine (New York) - Book Appointment Online! Our physicians are faculty members at Columbia University and certified through the American Board of Family Medicine. 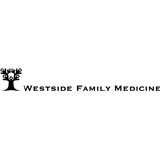 There is a strong emphasis in the specialty of Family Medicine on promoting health and preventing disease, and the physicians at Westside Family Medicine are trained to provide complete health care to patients of all ages. A Guide to Services: Same day visits for all your medical needs- sick or well or not sure! Comprehensive care for the entire family. Emphasis on disease prevention and health promotion. Newborn, child, adolescent and adult health care. Office-based procedures and diagnostic tests including ekg, spirometry, echocardiograms, nerve conduction studies. Skin procedures such as mole and wart removal and biopsies. Health care for women including pap smears, IUD placement, medical abortions, and annual exams. The support of specialists and services as needed. She was informative, listened , asked lots of questions. So far so good . I’m going back in a few weeks for a full physical.